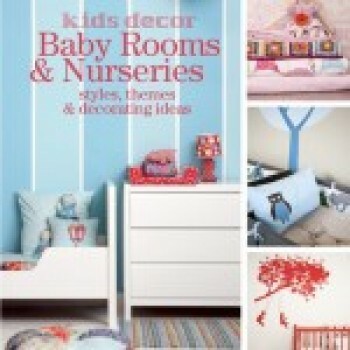 This practical decor book inspires parents to create and decorate their baby’s first room. Any area, whether it large or small, can be transformed into a nurturing space for a new baby. There are endless ideas for novices – and experts – to create baby nurseries from scratch or to redesign existing bedrooms. With over 200 beautiful photographs, Baby Rooms & Nurseries is an all-encompassing canvas of inspiration and practical ideas on how to do it yourself. It is a source of creativity for all expecting moms. Sam Scarborough is a creative director, author, stylist and children’s decor consultant. Sam has been published in South Africa (Children’s Rooms, Struik) and in the UK (Cool Spaces for Kids, Hamlyn), and has self–published her third kids interior book, Babies Rooms & Nurseries. As a parent, Sam’s motivation for writing and producing kid’s decor books and creative products is to inspire other moms to be more creative with their family and home environments. Sam believes a child’s environment is the first step to creative experience and expression. Sam runs her own kids decor company specializing in product design of creative play spaces and play ideas for children. She is a decor consultant, focussing on children’s rooms. Sam also presents creative decor workshops, giving parents inspiring decor ideas for their children’s bedrooms and personal spaces.